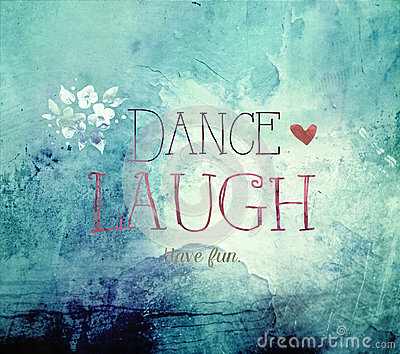 Dance laugh and have fun quote on blue textured background with flower and heart. Cute happy Santa Claus. Vector Illustration, isolated on white background. Hand drawn lettering of things that make happy.